Today the Teapot Diplomats met with the Ambassadors of Borderless Arts at MTSU. 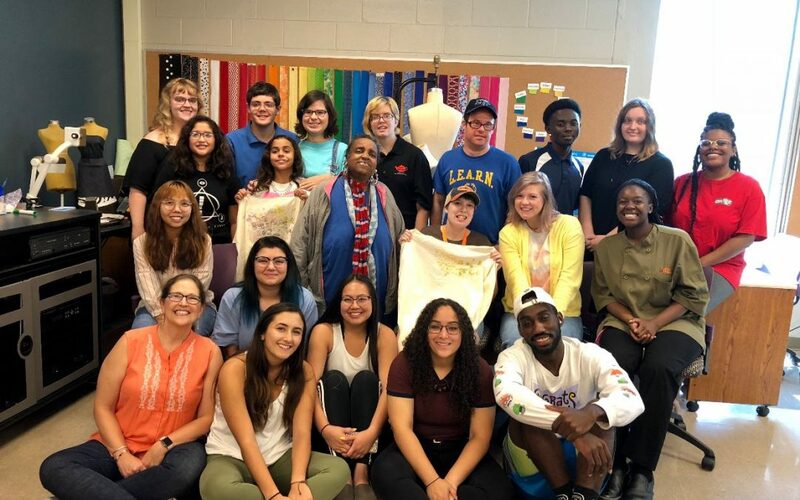 The group made kimonos under the artistic direction of Lauren Emery Rudd of the Human Sciences Department. The kimonos are not finished yet as they still must go through an ice dying process. Once the kimonos are completed, they will be worn by the Movement Connection dancers in a dance at the Nashville Chinese Alliance’s Chinese New Year in Nashville in February. This program is funded by Mark and Niki Antonini and received support from the National Endowment for the Arts.